Journey’s Greatest Hits is a great example of evergreen content in the pop culture world. Evergreen content is content that is timeless. I guess that’s where the name comes from. It’s always green. It doesn’t die. Just like those green pine trees in the winter woods up here in my home state of Wisconsin. One of the things many people on the edges of the blogging world overlook is the long-term impact individual posts can have on a website. If you’re thinking about a blogging strategy you’re probably thinking about how much traffic the next post can bring in the day it’s published or the week after it’s published or maybe the month after it’s published. That’s certainly important, but with evergreen content the payoff comes much later. Think of it in terms of the music world. Lots of record labels today focus on the first week sales. They want to build up as much publicity and attention as possible for that first week. After that they just kind of see how it goes and a lot of times the sheen wears off and sales quickly fall away. The same thing happens in the movie world. Big first weekend openings at the box office are sought after. But many films quickly lose momentum. Lady Gaga’s second album, Born This Way, sold over a million copies the first week of release. Then the sales dropped off pretty quickly and now the album has sold about 2-3 million copies in the US. That was Gaga’s second album. I like it very much, but let’s compare it to another pop star’s sophomore album. Bruno Mars’ Unorthodox Jukebox. The set sold about 200,000 copies its first week. Certainly successful. And a ways to go before it catches Gaga’s sophomore set. In its second week it dropped only slightly in sales and since that time is at about 4-5 million copies in the US. Record labels and studios say that their catalog of content keeps the lights on. They are able to keep making movies because they have some great evergreen content. Content that keeps selling (in whatever form) well after its initial release. Perhaps no piece of pop culture content fits the evergreen mold that Journey’s Greatest Hits. The album was released in 1988. It peaked at #10 on the Billboard albums chart the following year. And has now spent 450+ nonconsecutive weeks on the chart. Now, it can be difficult to figure out what makes for evergreen content. Especially in the music and film worlds. Thankfully in the business world there are some things that seem to be more inclined to last. News-type content can certainly be useful, but it has a short lifespan. You don’t read the newspaper from last year, right? Here are some key types of content that can become your evergreen content. The kind that brings in consistent traffic over the long haul. How to articles are often timeless. Heck, I’ve searched for things on Google and have found 10+ year old articles extremely useful. The same is true when I’m searching for similar content on YouTube. If the task doesn’t really change that much then people don’t really care about the age of the content. The first result for me is a video from 2008. Another video from 2012. There’s also an Art Of Manliness article from 2010. Three great results all older than 5 years. One that’s almost 10 years old. I hate using the term “old”. I think it’s kind of negative in our culture, but the more I think about it the more I think of it as a term of respect. Heck, people call themselves old at various ages. I think it makes us feel wiser perhaps. And that’s true. A lot of old people are wise. If you want evergreen content then talk with old people. Ask them questions about life and listen to their answers. Listen to their advice. Listen to their stories and pull out your own lessons. What you’ll find is that many of the lessons they’ve experienced throughout their many decades in the world still apply to the present. If you want evergreen content it doesn’t get any better than that. I read Sam Walton’s book awhile back. So many timeless lessons. But you don’t always have to go to outside sources for knowledge that you can use to create evergreen content. And when I say create I mean creating content for your business to gain attention. Videos, blog posts, podcasts or whatever. Another source for this type of content comes from your own mind. Just sit back and think about all the things you’ve experienced. What challenges and difficulties have you experienced? How did you get through those times? What would you tell others that might be experiencing the same thing right now. Also look at things you did several years ago that you still do today. Those are definitely evergreen things. When I was learning to drive my dad taught me a little trick for knowing how far to pull into a parking spot. Look out the side window under the side mirror. The point under that mirror is about where the nose of your vehicle is. I still do that just about every time I pull into a parking spot. That would make for a great piece of content on driving a car. When you start seeing the same types of habits among successful people especially throughout history it’s a good indication that those habits are keys to success. And these keys would make for great evergreen content because you know that the keys will continue to live on and on. This gets back to the idea of news or breaking news. I’ve never been a huge fan of that. Anybody with a cellphone can tweet breaking news today. What isn’t always as easy to get is what news means. Google will do some big updates once in awhile. SEO blogs will often break the news. That’s fine. But what’s really valuable is when they write about what this means for website owners. And what those owners should do. Or what they should do to not even worry about Google updates in the future. Lots of companies do their own research. They’ll do an internal test. They’ll run a big survey. They publish the results and usually those posts do well for a very long time. The same is true for case studies. Documenting what’s happening or what has happened is something people often seek out no matter what the date is. This one is simple, but it’s true. I was writing about movies and music earlier in this post. I searched for lists of popular albums from certain years. Same for movies. The content that was created for those searches several years ago was still relevant today. All kinds of content can be a list. This post is a list. 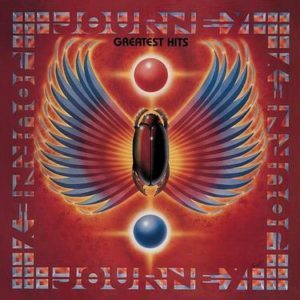 Journey’s Greatest Hits is a kind of list. Wikipedia is one of the biggest and most visited sites on the web. The reason is that they have simple, what is content. People want to know what stuff is. One of the first things toddlers learn to ask is: What’s this? We’ve been having some good success at GBW writing What Is… blog posts for ourselves and for our clients. There’s really no secret to it. Just a lot of research to provide the best answer that we can. Current events often fit with old evergreen content. That post I wrote about Google and linked to earlier is one I could reshare every time Google releases a new update. That pick is 12 years old, but its relevance is rejuvenated at certain times. During the draft. During summer contract negotiations. Andrew has gotten a lot of exposure from that one pic. And I’m sure he will continue to. And it’s smart. It’s evergreen content. The final tip for this post is to think about updating evergreen content. The homepage on your website, for example. That is a form of evergreen content. And it’s good to at least consider updating it every six months to a year. Your business evolves. It’s good to update your evergreen content as the world evolves. Some things like fisherman’s knots won’t change much. But other things like how to swing a golf club may. Evergreen content really is a key to a successful blog. I look at the traffic for this site and old blog posts makeup over 50% of the overall traffic to this site. Not any one or two posts in particular. The collection of blog posts. Like those record labels keeping the lights on with their catalog. The old blog posts on this site help to keep my lights on.